Little Castle Nursery Glider Quick Ship Program Available In-Store Now! Whether you are a new mom-to -be looking for a nursery glider to add that finishing touch to the nursery Little Castle Nursery Gliders can help you with a wide array of options to meet nearly any design choice. Any Little Castle Chair can become a one of a kind masterpiece. The gliders swivel and offer you a smooth gliding motion with features such as taller backs to support the head and neck as well as higher arm rest to provide the support needed while nursing. There is many glider models to choose from ranging in size and style from the smallest cottage glider to the larger chair and a half. The chair in a half is a great choice if you are having twins. Royal Bambino offers Free Fabric Swatches for Little Castle Gliders. A nursery glider is a must have for any nursery , and will be a comfortable and cozy place to enjoy for many years. 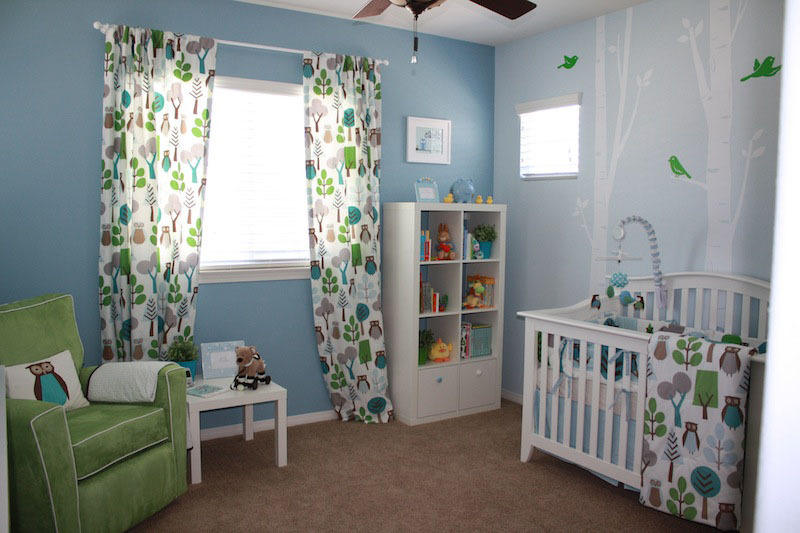 Little Castle offers over 100 fabric choices to customize your nursery glider. With so many fabric options you can decide whether the nursery glider will be staying in the nursery or easily transition to the family room. The new quick ship program can be ordered in-store it offers the cottage glider, cottage recliner and the capri glider along with the standard gliding ottoman in the choice of seven different fabrics: Micro Suede Cafe, Valetti Chocolate, Micro Suede Silver, Mirage Rattan, Mirage Green Tea, Lexington and Twill Blanca. With a delivery time of 8-10 working days. Now there is no need to wait 6-8 weeks for the options listed above. 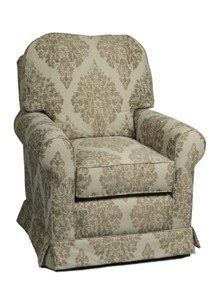 Little Castle Furniture Company produces high quality upholstered swivel gliders. Little Castle is popular amongst parents because of its wide variety of custom fabric options. All Little Castle gliders are fully customizable. You may choose to use a fabric from their wide variety of fabrics or provide your own fabric to design the perfect nursery glider. Other glider options available are a ruffled or tailored skirt, contrast piping or if you would like to contrast your glider with several fabrics it is possible! you can give us a call and we will help you design a one of a kind nursery glider. There is also many choices available for a matching ottoman with a hassock (round stationary ottoman) , a traditional stationary ottoman, swivel/gliding ottoman or the most popular gliding ottoman. All Little Castle gliders are made in the USA, ensuring the highest standards of production. Visit us to view the complete collection of Little Castle nursery gliders. A nursery glider is comfortable, relaxing and a must have piece of furniture for a mother. It makes a beautiful and functional addition to a nursery. A nursery glider comes in a number of different models and colors. You can choose a glider or a glider-recliner or an oversized chair and a half. Nursery gliders are preferable to a rocking chair because the motion is so much smoother and safer. Babies love feeling the safety and warmth of their mother’s arms. A nursery glider should not make any unwanted sounds. A rocking glider chair that makes noises can disturb your calmness and the sleep of your baby and your baby will never get sleep. You want a chair that will match the theme and color of your baby’s nursery so you need to carefully select the one that is secure and relaxing. It is essential for you to allocate a good amount of money to get the nursery glider that will be perfect for your needs. When choosing a baby glider you should take into consideration the colors or theme of the nursery or if any other rooms where you will be placing the glider. A good nursery glider will not only provide the perfect spot to feed or nurse a baby, but creates a space to bond for many years.